Net interest income amounted to Dh5.268 billion during Q2. 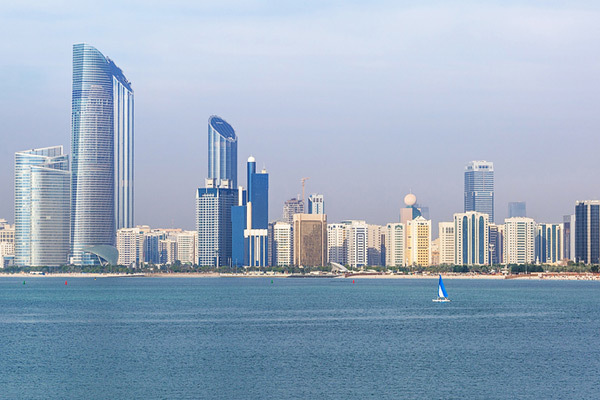 The net income of Abu Dhabi-based commercial banks amounted to Dh9 billion ($2.45 billion) during Q2 2017, a growth of 4.1 per cent from Dh8.64 billion during the corresponding period in 2016. Net interest income amounted to Dh5.268 billion during Q2 of 2017, accounting for 58.5 per cent of commercial banks' net income in the Emirate, reported Wam, the Emirates official news agency, citing the Statistics Centre - Abu Dhabi. "The growth recorded in bank income reflects the resilience of the banking sector as compared to other GCC states despite the global economic slowdown," said Manal Al Shanti, a banking expert, who corroborated the state banking apparatus' ability to grow over the coming period and post better rates than those registered by the end of June. Commercial bank investment income grew 14.2 per cent from Dh920 million in Q1 2016 to Dh1.051 billion by the end of Q2 in 2017, while other income streams rose from Dh2.26 billion to Dh2.73 billion during the same monitored period. Loan and advance interest rates reached 9.76 per cent on personal loans during Q2 of the current year against 9.81 per cent in Q2 2016. Commercial loans interest rates hit 7.97 per cent, while overdraft interest reached 9.36 per cent, 6.95 per cent for trust receipts and 17.78 per cent for loans and other kinds of advances. Deposit interest rates for more than one year amounted to 1.07 per cent by the end of Q2 2017 against 1.1 per cent during the corresponding period 2016. One-year deposit interest stood at 0.78 per cent and 0.75 per cent for six-month deposit, 0.66 per cent for 3-month deposit, 0.54 per cent for two-month deposit and 0.35 per cent for one-month deposit.